Paula Reed is the new executive director of development for Winship Cancer Institute of Emory University. 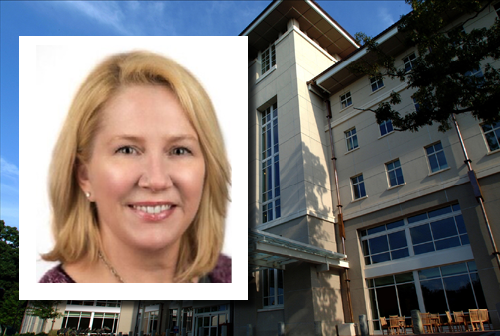 Winship Cancer Institute of Emory University (Winship) has named Paula Reed its new executive director of development. In this role, Reed will lead a team that works closely with Winship's leaders in supporting its mission as Georgia's first and only National Cancer Institute-designated Comprehensive Cancer Center. The team was responsible for raising more than $215 million in philanthropic donations for cancer-related projects at Winship in the current fiscal year. Reed joins Winship from the Atlanta-based Rheumatology Research Foundation (RRF), where she provided strategic vision and direction as vice president of development for nearly a decade. Previously, she served as director of development at Eckerd College and Stetson University College of Law in Florida. She was the senior director at CCS Fundraising, where she consulted for a variety of non-profit organizations. She was also director of development at Southern Catholic College and Clearwater Central Catholic High School. "Paula brings to Winship significant experience in leading philanthropic programs in health care, academic medicine, and biomedical research," says Walter J. Curran, Jr., MD, Winship's executive director. "We are excited that she'll be joining our team and inspiring a culture of philanthropy." In addition to leading Winship's fundraising efforts, Reed will work closely with the Winship Advisory Board, Friends of Winship, and the Woodruff Health Sciences Center Office of Advancement and Alumni Engagement. Reed is a graduate of the University of Florida.